Mohamed Salah endured a terrible time at Stamford Bridge during his first stint in England. Former Chelsea gaffer Jose Mourinho forced the officials to bring in the Egyptian winger after coming up against him in a Champions League fixture. The Blues were already stocked in the position at that time, with the likes of Eden Hazard and Willian playing on the wings. Therefore, Salah was sent out to Fiorentina on loan for the first half of 2015 to improve on his physicality and overall gameplay. This was followed up with a season-long loan to Roma, where Salah scored 15 goals in 42 appearances across all competitions. Pundits suggested that his performances would allow him to break into Jose Mourinho’s starting XI the following season. But the winger wasn’t ready to return to London, and wanted to make a permanent move to the Italian capital. Chelsea agreed to sell him for a reported fee of €15m, and the rest is history. 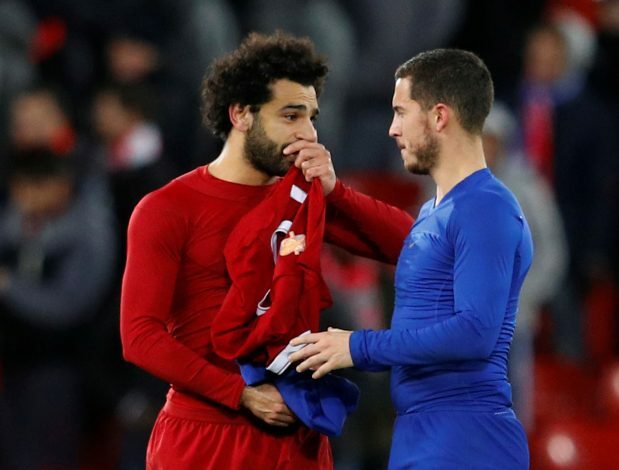 At present, Salah is enjoying a splendid spell at Liverpool, and looks to be on the verge of competing for the top honours in world football in the coming years. Media put most of the blame for his failed Chelsea tenure on Jose Mourinho, with reports claiming that it was the Portuguese tactician who refused to trust the then youngster. But now, in a recent interview with beIN Sports, Jose has urged the fans to remember him as the person who bought Salah. Mourinho added that he wanted the player to stay, but the Chelsea board chose to sell him, as they couldn’t provide him with regular playing time. “Let me start with Salah because lots of things have been told that are not true. People try to identify me as the coach that sold Salah. I am the coach that bought Salah. When the club decide to sell him, it was not me. I bought him, I did not sell him,” Jose revealed.